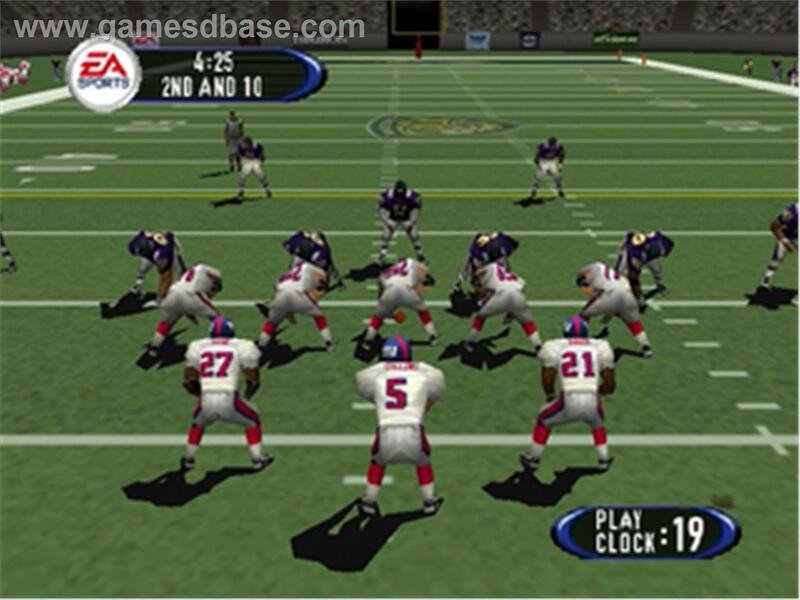 Краткое описание: Madden NFL 2001 includes several customizable modes. Players have the ability to create a play, create a player, run a franchise, and collect Madden Cards, allowing players to perform certain actions during gameplay (for example, adding 5th downs, or limiting the CPU-controlled team to 3rd downs). The cards can also alter individual player ratings, unlock special stadiums, and unlock Hall of Fame and All-Madden teams. 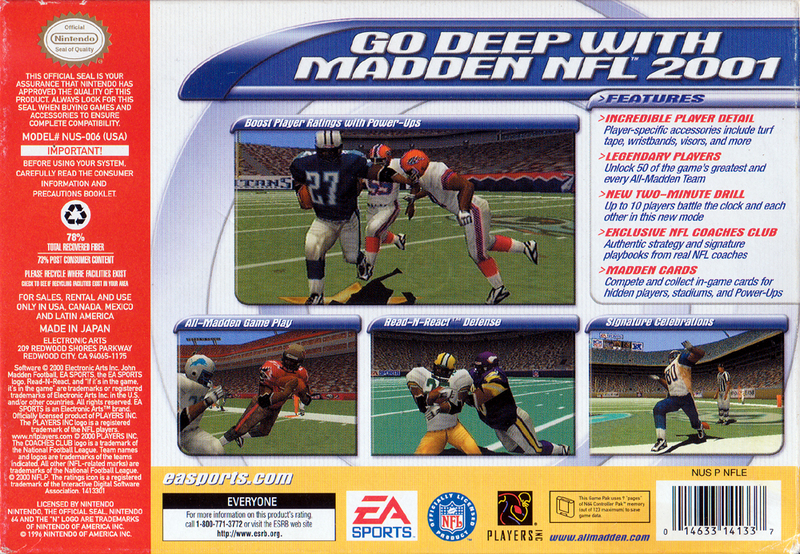 Madden NFL 2001 includes several customizable modes. 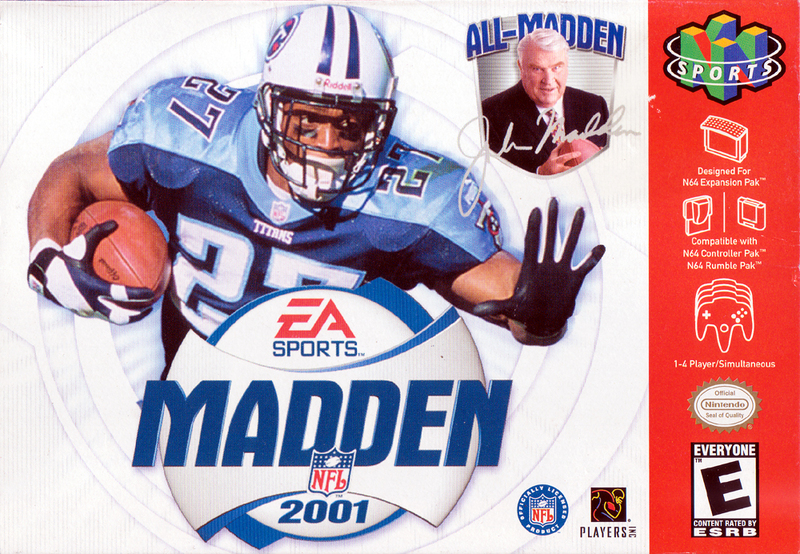 Players have the ability to create a play, create a player, run a franchise, and collect Madden Cards, allowing players to perform certain actions during gameplay (for example, adding 5th downs, or limiting the CPU-controlled team to 3rd downs). The cards can also alter individual player ratings, unlock special stadiums, and unlock Hall of Fame and All-Madden teams.